Our classic dresser & racks create a focal point in your kitchen or dining room, offering both display & storage space. 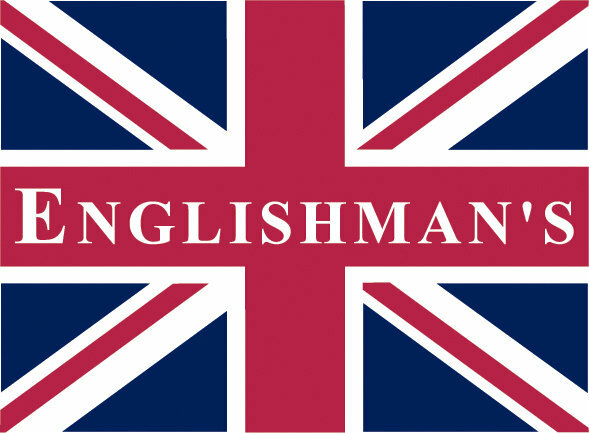 hand-built by skilled craftsman our dresser & racks can be customized for your individualneeds, we can also custom build one for you to your own design. 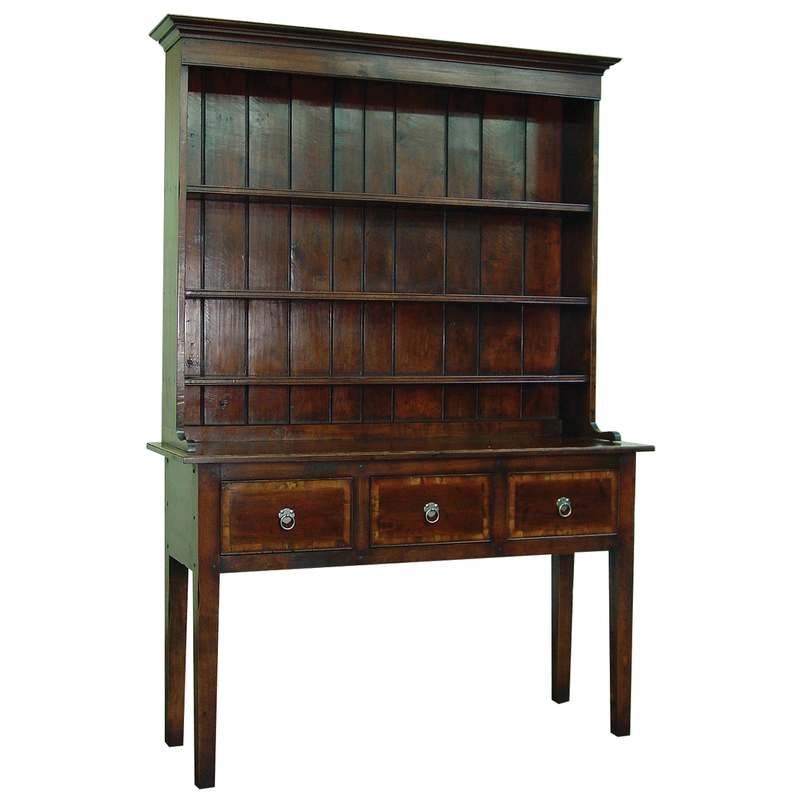 Medium oak finish, yew wood banded 3 drawer & 3 paneled door cupboard base dresser & rack with shaped sides & frieze. 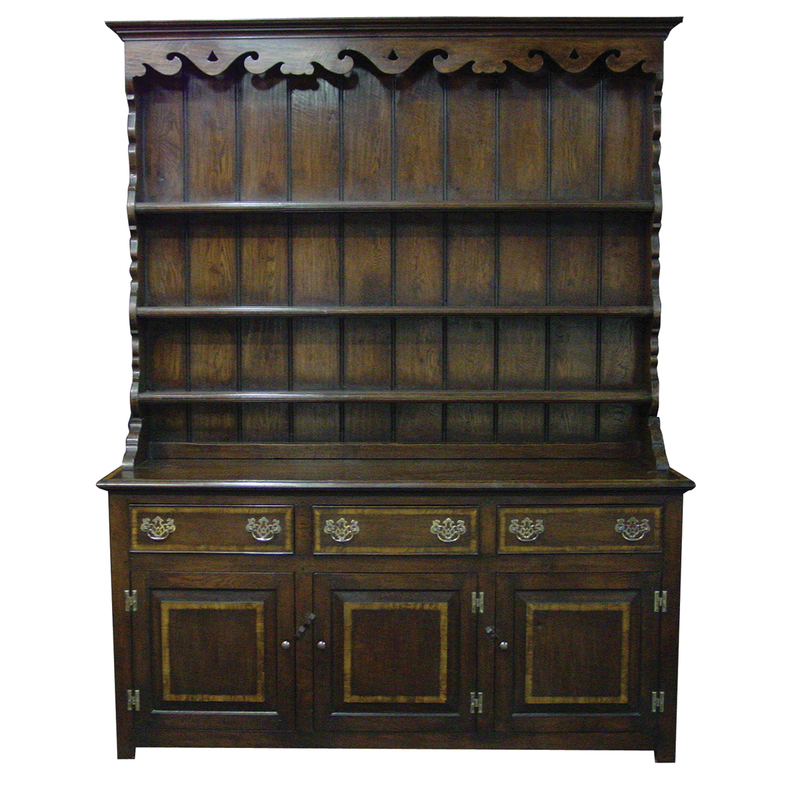 Mid cherry finish, 3 drawer huntboard dresser & rack with shaped frieze. Mid cherry finish, 8ft drawer dresser & rack with tapered legs. 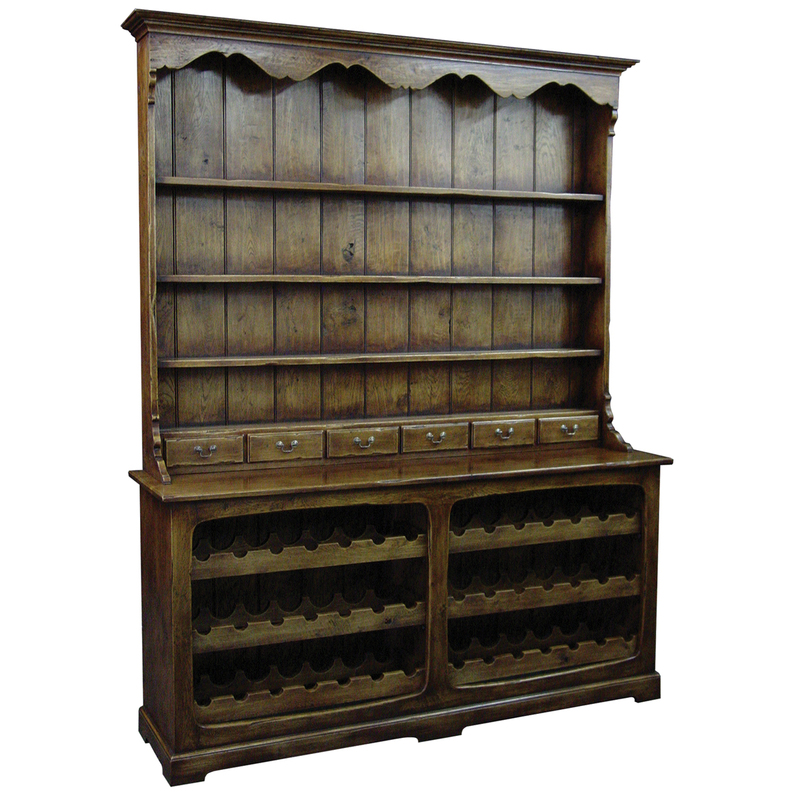 Antique oak finish wine rack dresser and plate rack with spice drawers. 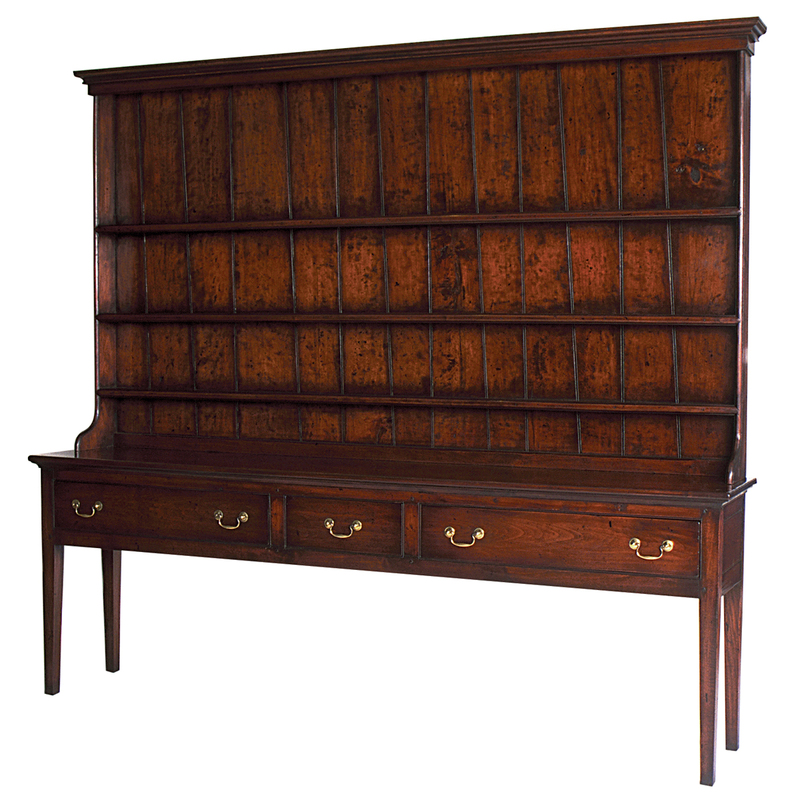 This dresser & rack is expertly hand made in England by skilled craftsman. 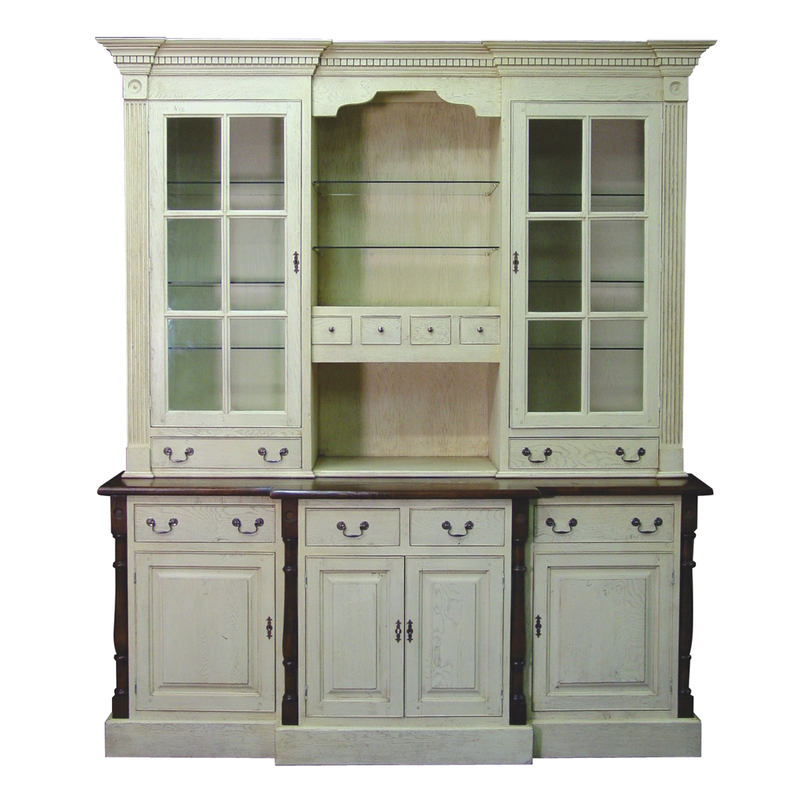 Washed cream painted & dark antique oak finish kitchen dresser with glass shelves. 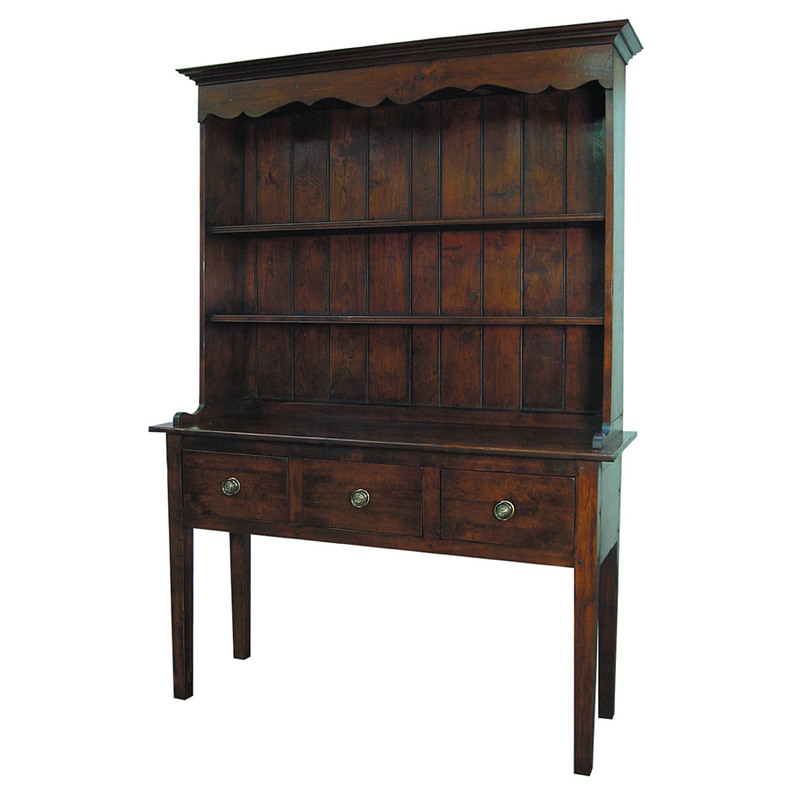 This kitchen dresser is hand made in England by skilled craftsman. Mid cherry finish, yew wood banded 3 drawer with pewter handles dresser & rack on tapered legs.